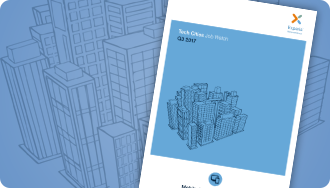 A shortage of skilled IT professionals across the country has resulted in tough competition across five key technology skills in particular: Big Data, Cloud, IT Security, Mobile and Web Development. 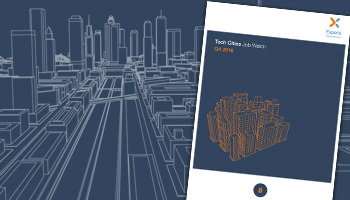 Our latest Tech Cities Job Watch report takes a closer look at IT Security and explores the complex security landscape. With hacks and security breaches on the rise, businesses could be vulnerable to more cyber attacks; whilst budget cuts and the introduction of IR35 may be creating an imbalance in the supply and remuneration across the industry. Cloud integrations are likely to be an area of rapid growth in the coming year, which is expected to further increase hiring demand and salaries in the sector. Despite day rates dropping by 13%, demand for IT Security contractors increased by 24% year-on-year. General Data Protection Regulation (GDPR) is one of the key drivers of demand for tech talent as businesses will be required to comply from May 2018. 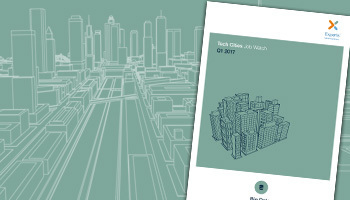 London continues to display the highest requirement for IT Security professionals, with around 80% of the UK's contractor IT security roles advertised in London. You can view previous reports on our archive page here.